Also, that street pavement texture thing will be pretty easy to make, but the thing is the car. I have seen someone make a car with slopes and 3D floors, maybe you could try to do something like that? I can make a car sprite, just wondering because it would look pretty cool. And the car with slopes could work but I'd need to have textures for each part of the car. I mean if you're (or anyone else is) up to that, than by all means I'd appreciate it but I feel like for now just a sprite is enough. 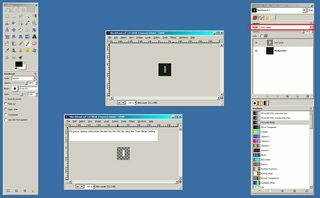 Will the XCF file work in GIMP 2.8.1? Could you make another of this but with only black and no stripe? EDIT:: who even am I lol. You used the black texture thanks. Thanks for the texture though, it feels very CQ-ish for some reason. 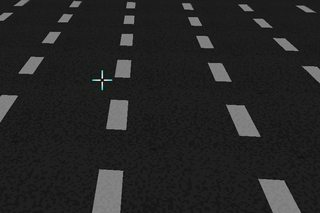 EDIT::: I would also appreciate if somebody could some 265x128 textures that are gray and say "Transportation Belt A" "Transportation Belt B" and "Transportation Belt C" in black bold letters. EDIT 2::: Awesomedude, if you could make another blank street texture with a crack going from the top right to the bottom left that'd also be perfect. I'll make a list soon enough of textures I need, and put that on the main post. EDIT 3::: idk if I sound sort of annoying asking for all these textures lol. I feel like all the people who CAN make maps with me don't want to so most of what I'll be talking about/requesting will be art related or a technical question. But I'm not actually designing levels until the 10th/11th so right now I'll be requesting a lot of art. None of you are obligated to make any art for this though, these are all just requests. Read the edit section of the topic post. you can easily make your road lane marker lines by using a pure yellow or white flat, and making the lines themselves as seperate sectors. That way, you don't need a specific line texture or flat. See I would be able to do that but in this specific case that'd not only be tedious but the level would just look a lot better if the stripe was part of the texture. Either way though, I think the street and the sand are the two easiest things I've requested so far. If you could make the crack a little bit fainter really? Tbh I think it's fine, what I need more now i think is the car assets. The car sprite was a bad idea, if you're making it.. don't really stop. But for anyone reading this than I have a template for the textures. Possibly, is there a specific texture you were thinking of putting the text on? I feel like all the people who CAN make maps with me don't want to so most of what I'll be talking about/requesting will be art related or a technical question. But I'm not actually designing levels until the 10th/11th so right now I'll be requesting a lot of art. 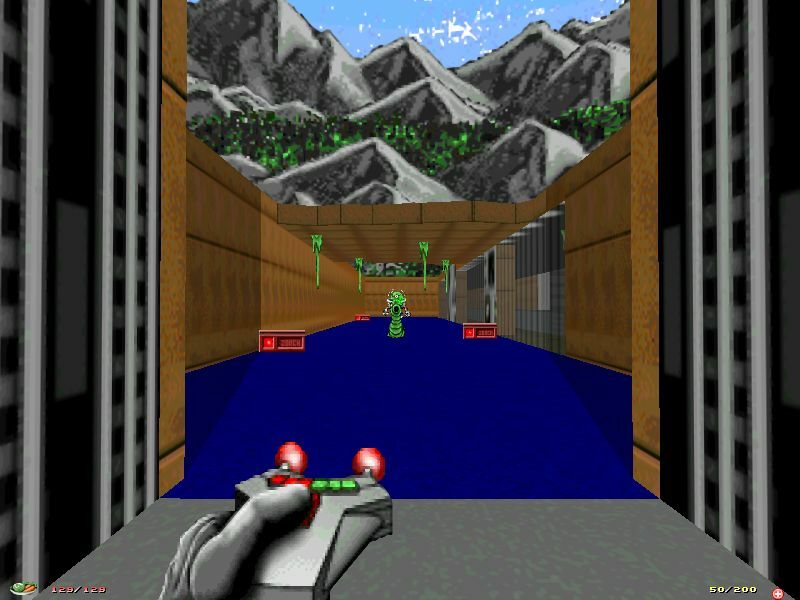 I can't speak for the others but I'm really busy and even in the best of cases I'm an extremely slow single player / coop mapper, I only finished 3 coop maps and it took me 3 years... https://www.doomworld.com/vb/wads-mods/64625-wip-hardweps/ . Chex SP maps are actually harder for me because the monster set has less variety. Little things like the road stripe texture aren't a big deal though. I don't know, if you give it a try, let me know if it works. It only has 2 layers and I could almost take a screenshot showing you how I did it if it doesn't work. 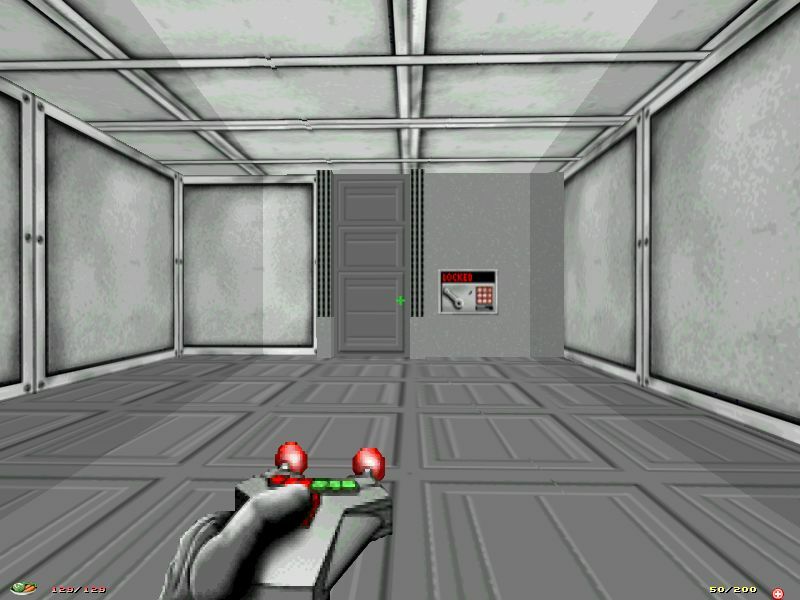 Here is the technique in practice in a soccer mod I mod I was working on way back in 2001. Did you want to make that one? If you mean a 256x128 texture that I want words to be put on then no there is none. If you mean a grey texture that's the right color than most of the "GRAY" textures are the right shade. The lighter ones at least. I see your point, but at this point I don't think I will need anyone making maps. Maybe once I've drawn out all the maps and am happy with them, I'll put the drafts online so other people can work of them (to save on time) but tbh I probably will just make the maps myself. Like I said, if anyone WANTS to make maps than I absolutely invite them to do that, but for right now I am not only comfortable making the maps but (for the maps I'm already planning) I feel like they'd be most efficiently made by me. Does that make sense? Either way the point is that Level Design is something that I understand and think will strengthen as I make the mod. Art is not one of those things so I need you guys to take care of those 7 assets listed on the topic post. You don't need to put them into a wad, but that'd appreciated. And once I get into the thick of level design I'll probably get stuck and ask for technical advice. Sounds good, if you have anything you'd like to test I might be able to run through some maps real quick. Personally, I'm mostly interested in monster placement and layout in SP maps, so I wouldn't mind testing something that doesn't have all of the textures in it yet. 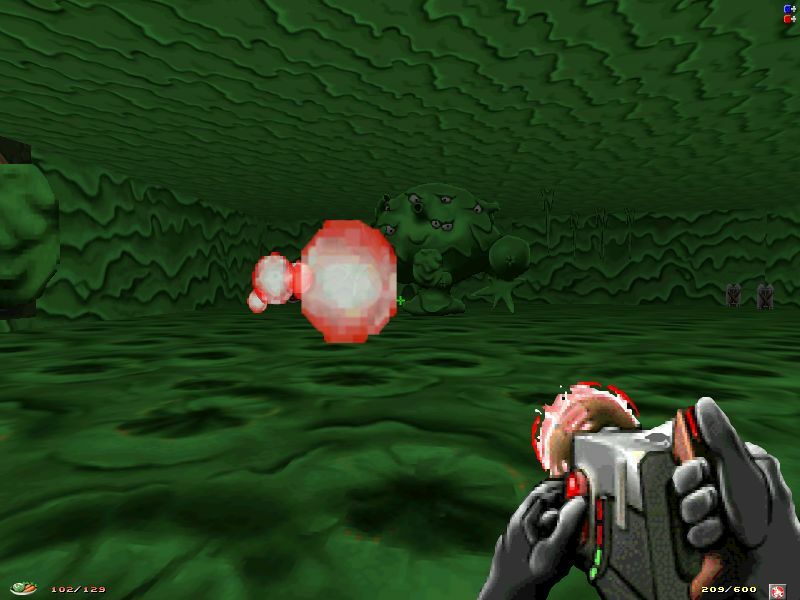 Note that the pseudo cel shaded look in Action Doom usually does not look good in Chex Quest. I wouldn't recommend copy/pasting these textures into your mod. It might be a good starting point, though. 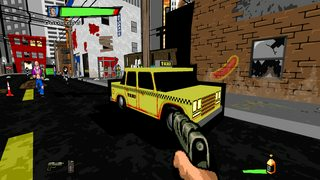 I remember that I was working on a scrapped pickup truck in DeiM made from sectors, and I know I made textures for it, but I couldn't find it in the game. I guess I just never finished it. EDIT::: I'm back from my trip, and so I've made a lot of progress on the mod actually. A quick update on the mod: I've finished the first map completely. 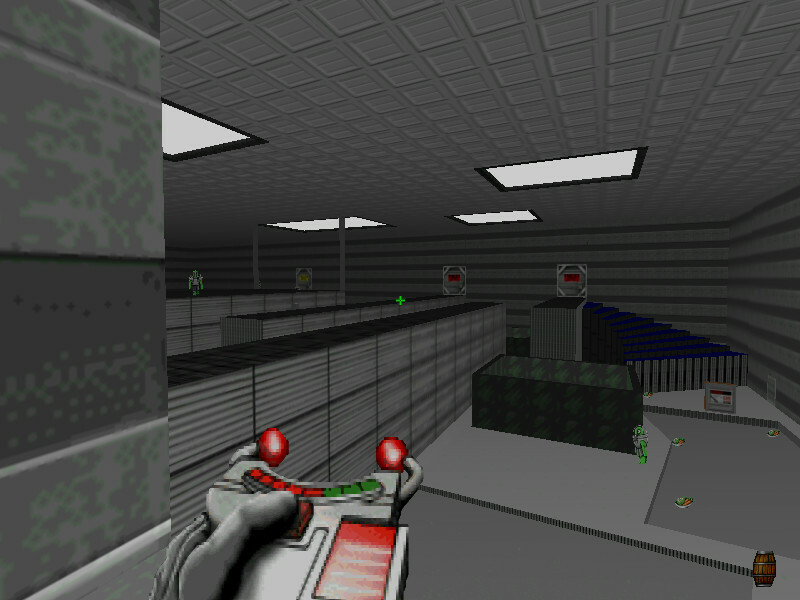 The 2nd map is technically done, but i'll be tweaking it quite a bit to make it more fun. 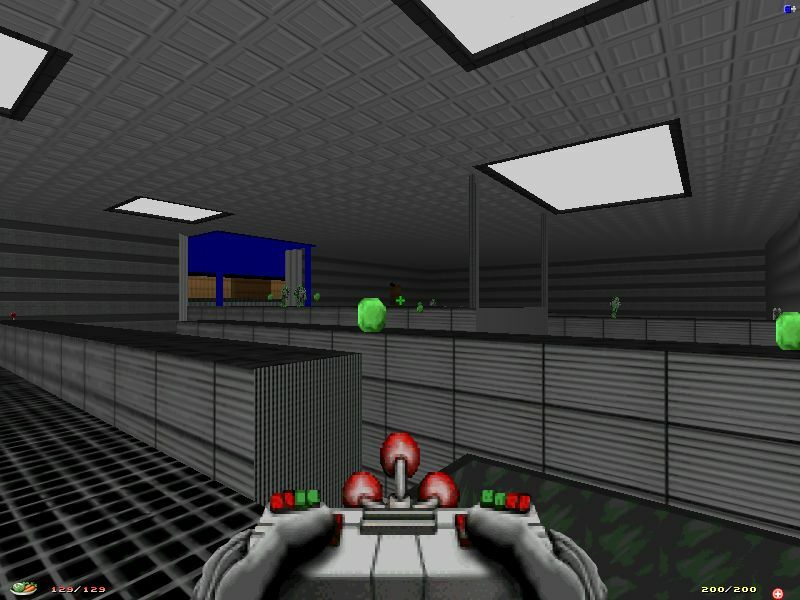 The third map has been remade countless times and I'm never happy with it, so for now it's just a hallway that starts the next level once you start moving. The fourth and fifth map are also technically done, but I will be revising those quite a bit as well. The fourth map particularly needs a few changes, but I'm going to bed now so I'll mess with maps 2 and 4 tomorrow. And once those are done I'll figure out map 3. I'll finish map 5 last. I have not started any levels outside of episode one so far. EDIT::: Here have some screenshots.